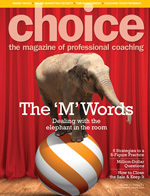 The CLI Foundation - Coaching and Leadership International Inc. Scholarships and/or financial support to individuals who truly wish to become a Professional Coach and are financially unable to do so. This support applies to CLI's Power Coaching� Programs. Personal Power Coaching for individuals and groups in crisis who have an urgent need for emotional, spiritual and/or intellectual support and who are unable to afford coaching services at that time. This funding can be partial or total. Power Coaching is provided by CLI's certified Professional Coaches. The CLI Foundation is open to receiving your donations to support the community in the ways mentioned above. At this time, The CLI Foundation is not a registered charity. However, donations are tracked separately and continue to be directed to those in need. In the past, others may have been generous to you and have helped you in a time of need; therefore, you wish to "pay it forward" by supporting The CLI Foundation with a donation. You have benefited greatly from CLI's on-line and Free Self-Coaching Tools and would like to "pay it forward".